This is another review that is tricky because it took me so long to get through this audiobook. This time, however, I actually have a very good reason. I knew this was not a book that I could play around my kids, so I listened to this almost entirely while I was working out. In fact, there were a few times that it was the reason I did work out! I think that Roxane Gay would appreciate this--or she might die laughing over it. She did state at least a few times in this book how much she hated to work out. But, here is the one thing I can say that will totally sum up my feelings of this book: THERE WAS A CHAPTER ABOUT SWEET VALLEY HIGH! Yes, Sweet Valley High! I loved those books when I was tween--I'm still a little nostalgic about them and so is Roxane Gay. If for no other reason, I would recommend this book. But don't worry, it's not the only reason (she also has a great essay criticizing Fifty Shades of Grey in the most fantastic way possible). There are also some very serious issues addressed here--the treatment of women and minorities, the double standards in our society, and why The Help isn't quite the movie I thought it would be. My views on women are pretty much in line with hers, but I was especially interested in her essays on race. I don't consider myself a racist by any means, but her essays opened my eyes on how I really don't quite understand the issues that minorities, African-Americans in particular, face. 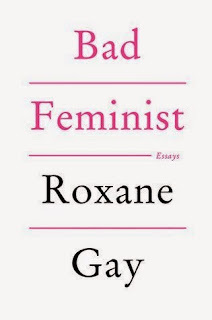 I can't think of anyone else who could discuss these in such a clear way as Roxane Gay and, because of this book, I am trying to look at these issues in a new light. This is also a book that I'm going to have to get a hard copy of and re-read. There are some very powerful ideas that I wasn't able to note while I was listening on the elliptical. I'm also very selective about the books that make it into my "permanent library," but I will make room for this book once I get a copy. I believe this is the first non-fiction book I've listened to that was not read by the author. I was afraid this might be a problem for me, but I was extremely impressed with the narrator, Bahni Turpin. 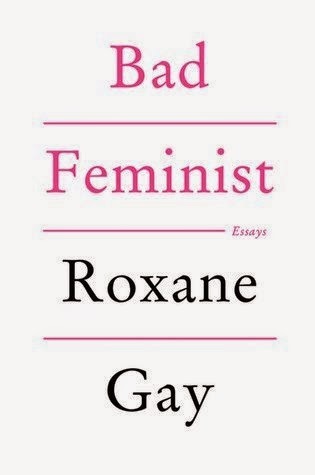 In fact, during the time I was listening to this book, I heard an interview with Roxane Gay on the Dear Sugar podcast and she just didn't sound like herself--or how I now think she sounds. As an aside, I ended up listening to two books narrated by Bahni Turpin at the same time--this book and The True Meaning of Smeck Day with my kids. Both audiobooks are over 10 hours in length, but it wasn't until I had less than 2 hours left in both books that I realized it was the same narrator! I think that is a testament to what an effective narrator she is. I won't say that I recommend this book in audio over print or vice versa--I think it is a great work in both mediums. It is definitely a book for anyone interested in women's or racial studies.